CBS) "Supernatural" fans rejoice. 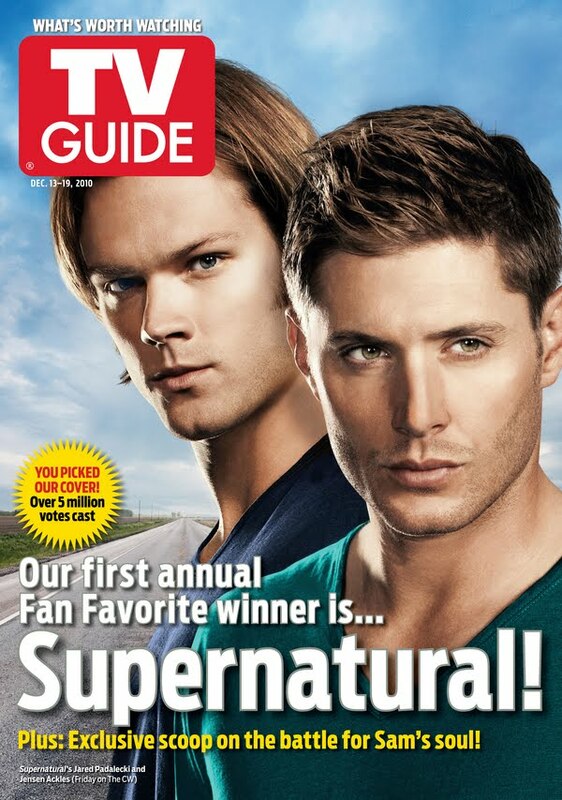 Your CW Network show won TV Guide magazine's First Annual Fan Favorite Poll. Debra Birnbaum, editor in chief, of TV Guide magazine, revealed the cover on "The Early Show" Monday. The December 13 cover, featuring "Supernatural" co-stars Jared Padalecki and Jensen Ackles, will be on newsstands December 9. On "Supernatural," Padalecki and Ackles play brothers trying to save the world in the classic good versus evil paradigm. Birnbaum told "Early Show" co-anchor Harry Smith she thought of the cover poll contest after attending Comic-Con last summer and seeing firsthand fan enthusiasm of for certain "cult" shows that don't get huge ratings. She said she wanted to let the readers and viewers choose their favorite program out of six pre-selected programs across the major broadcast networks that fit this "cult" criteria, and have the prize be the cover. "Nielsen rates the top 20 shows, but there's a lot Nielsen can't capture. They're looking at ratings, but not passion or dedication. We tried to pick shows that really reflected all of that. Things like social media have brought forward, Twitter and Facebook giving fans a real voice to talk about what they love about their favorite shows."